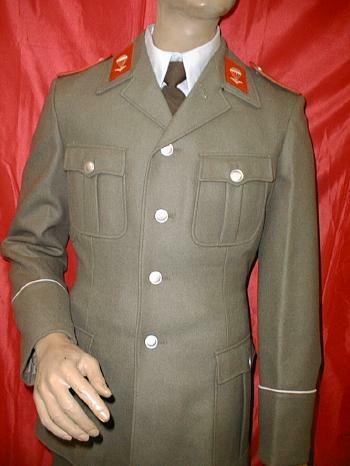 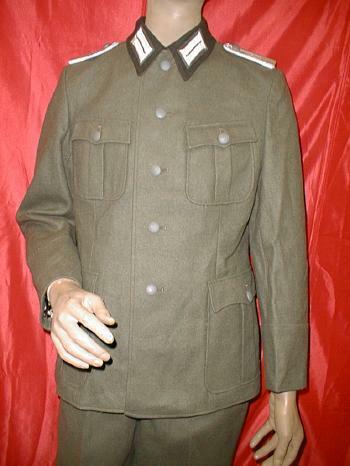 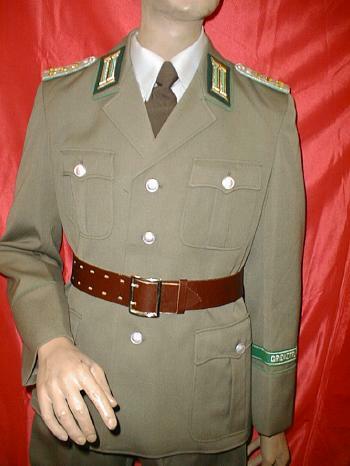 TN03.Early East German field gray wool with dark green collar tunics. 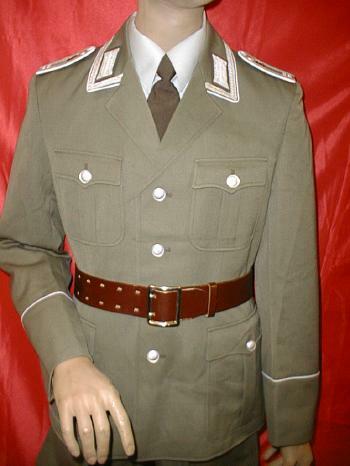 and shoulder boards. 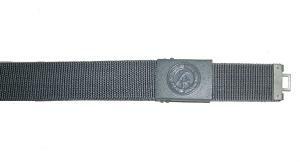 Silver tress aroundcollar.used,exc. 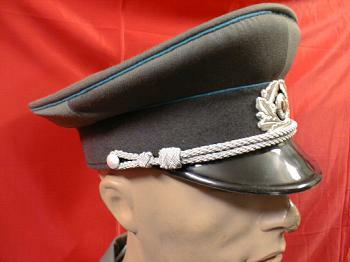 shoulder boards.Rank of major through colonel.used,exc. 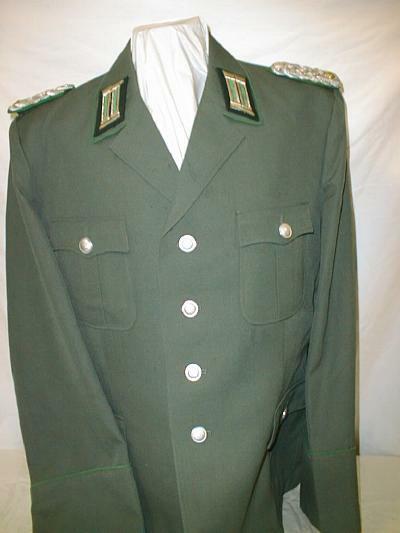 shoulder boards, and sleeve patch.used,exc. 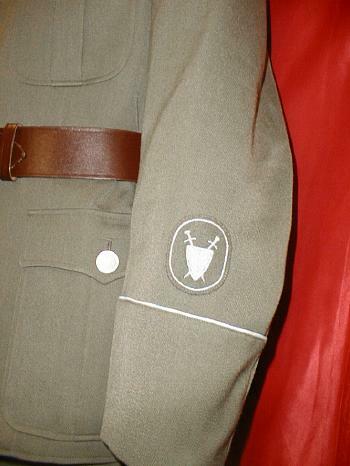 and shoulder boards. 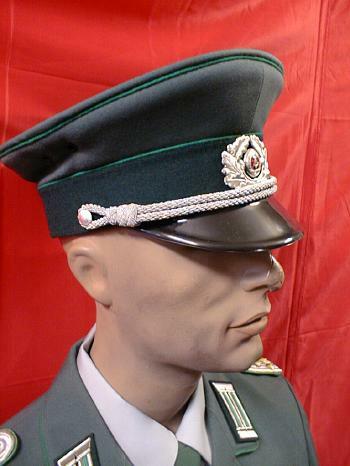 Rank of leutenant through captain. 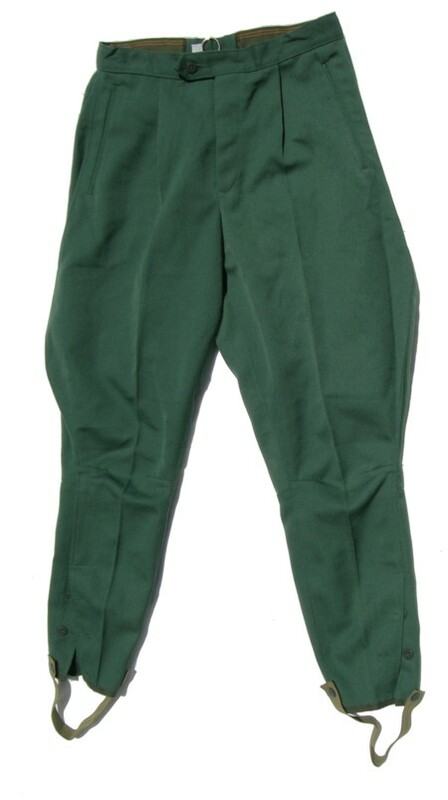 size 44-48 $25.00,size 52 $30.00. 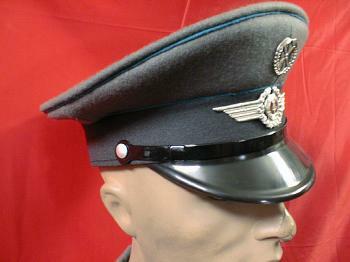 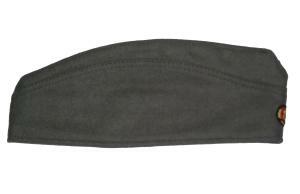 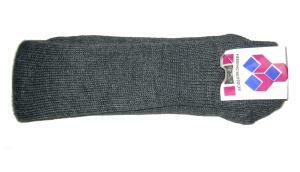 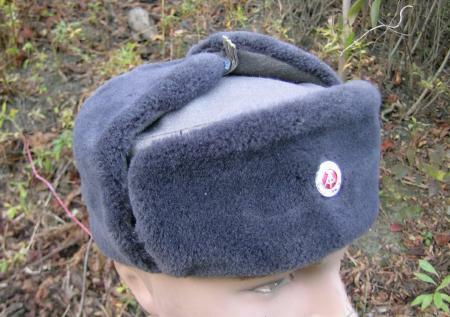 Can be worn with either open or closed collar.45% polyester. 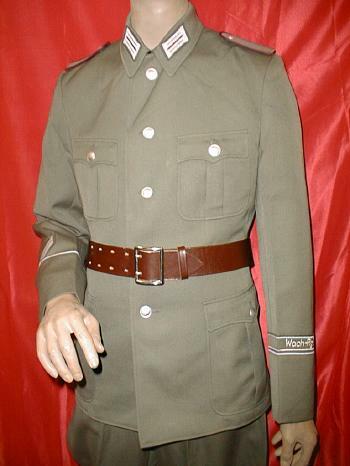 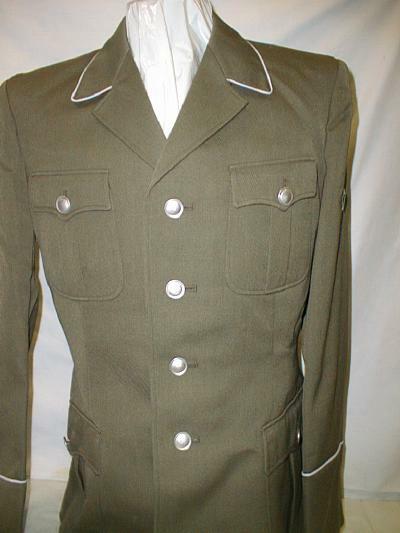 with collar tabs, shoulder boards,and cufftitle.used,exc. 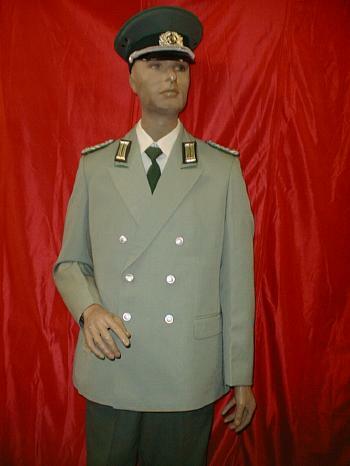 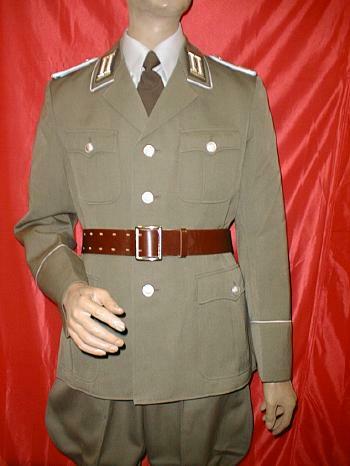 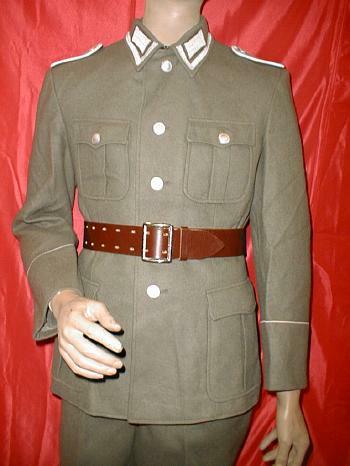 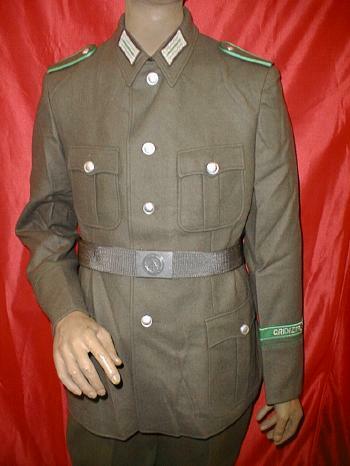 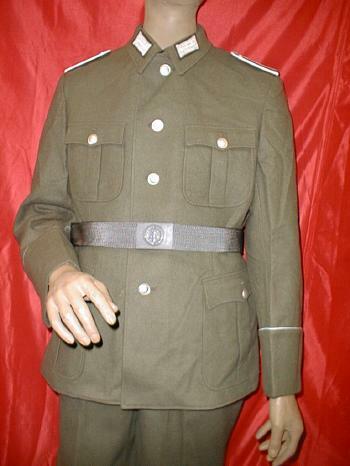 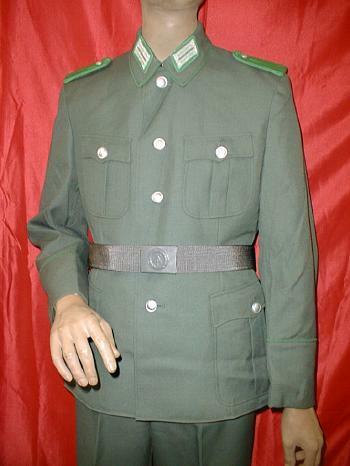 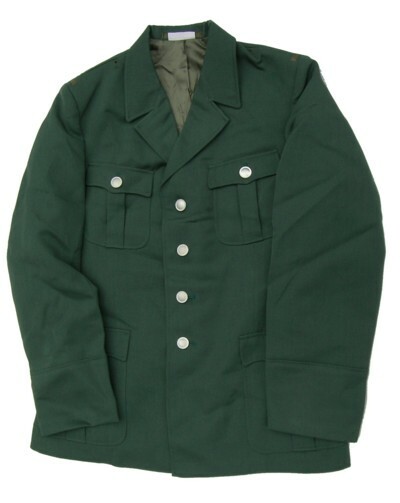 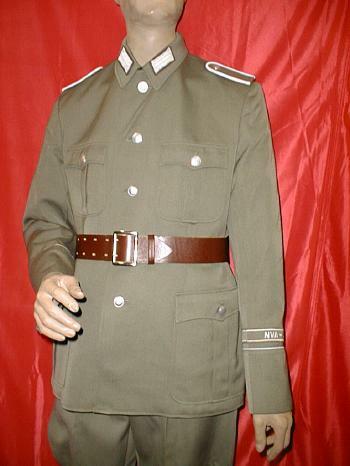 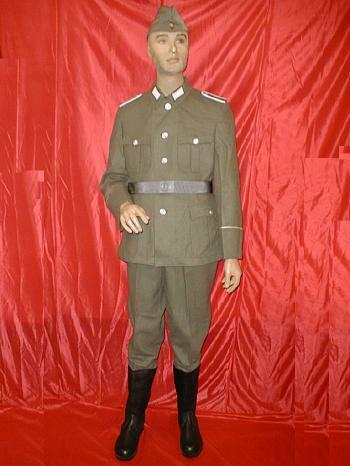 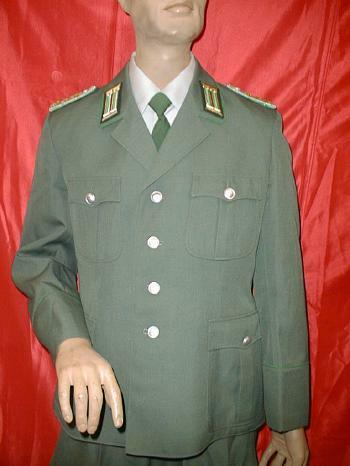 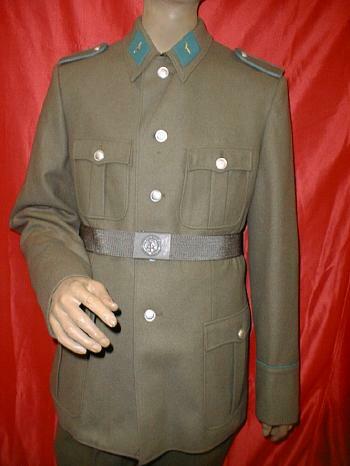 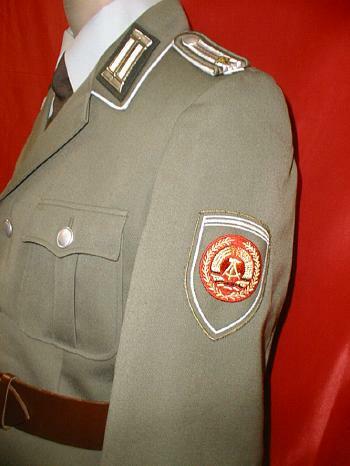 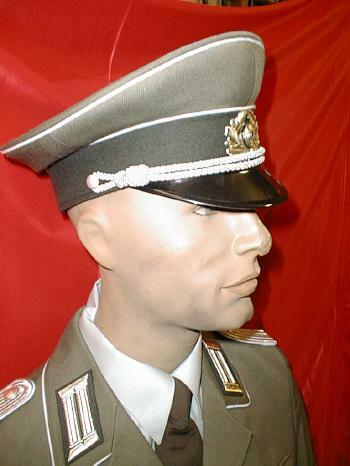 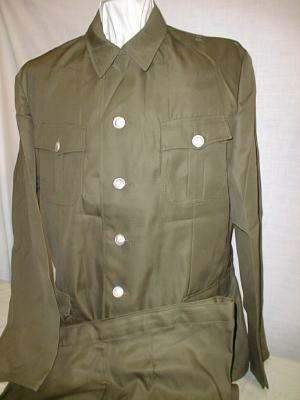 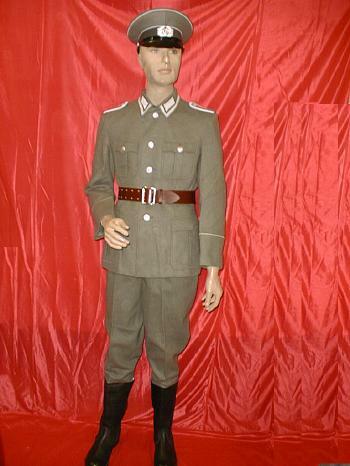 TN18.Border guard"Grenztruppen Der DDR" EM service tunics. 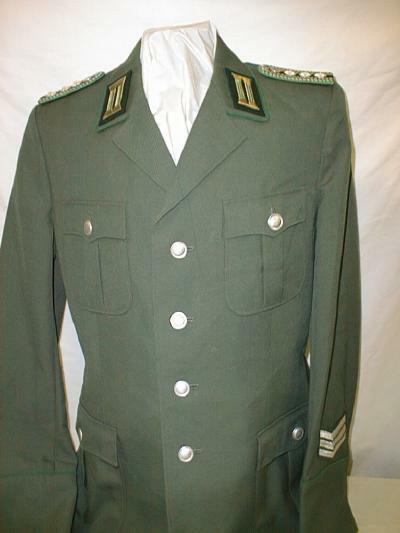 Complete with collar tabs,shoulder boards,and cufftitle.unissued. 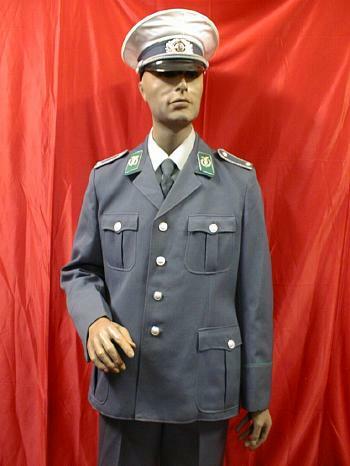 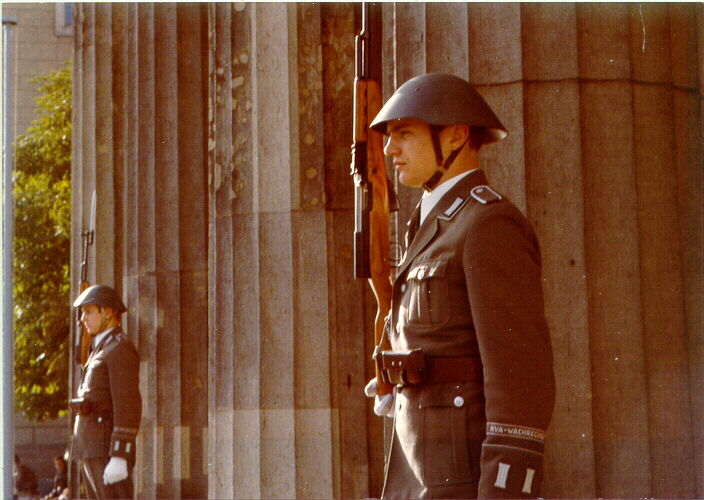 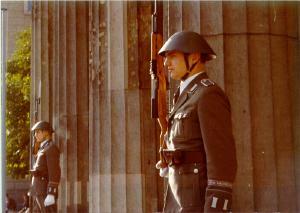 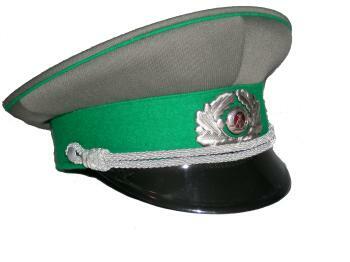 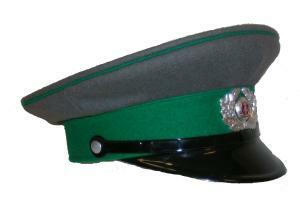 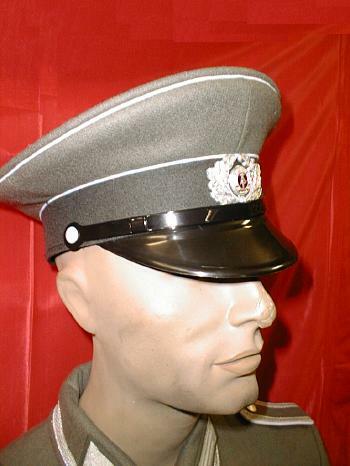 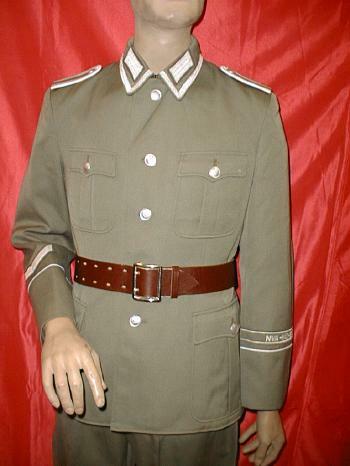 TN19.Border guard "Grenztruppen Der DDR"
with cufftitle.No collar tabs or shoulder boards. 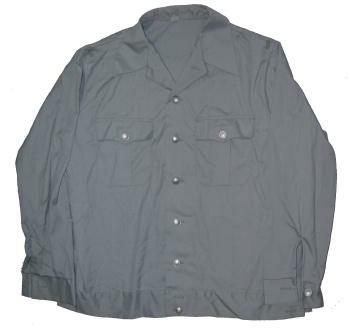 TN21.Air force/Air Defence Force officer service tunics. 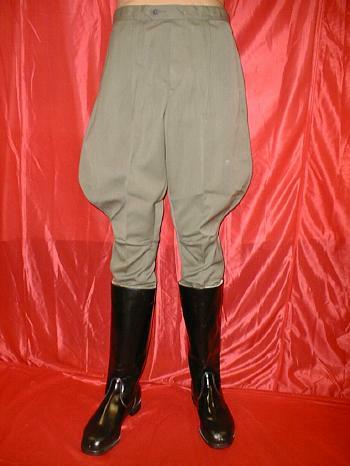 unter leutenant through kapitan leutenant. 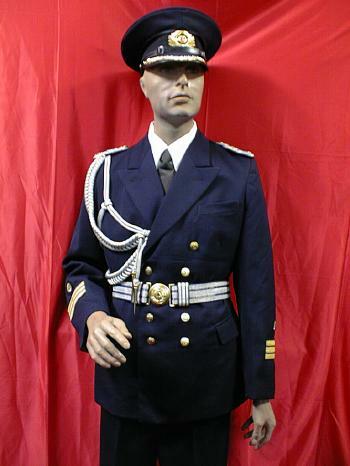 TN24.Navy officer blazers with no insignia. 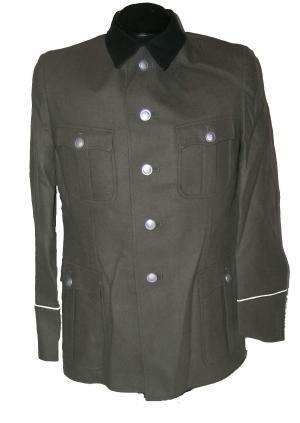 TN29B.VoPo EM tunics .No piping around cuffs or collar. 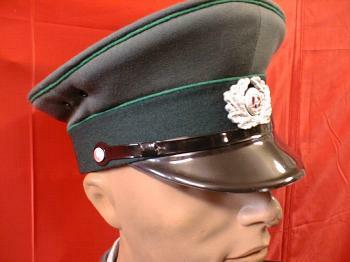 collar tabs.No piping around cuffs or collar. 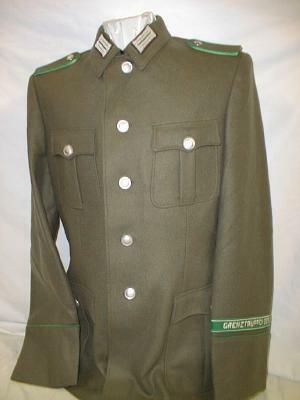 TN33.VoPo officer parade tunics.Unissued,no insignia. 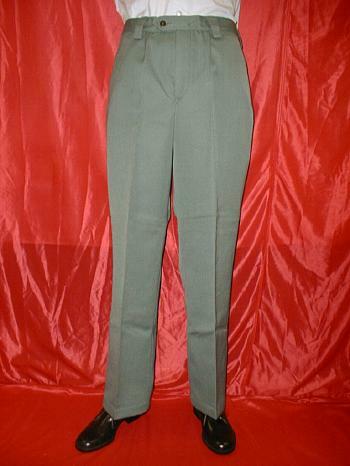 PB4.Border guard officer service pants with green stripe.unissued. 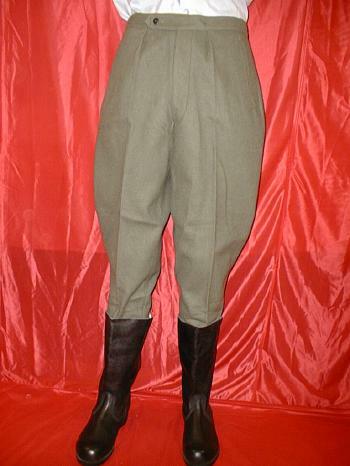 PB8.East German Air Force officer service pants with blue stripe.unissued. 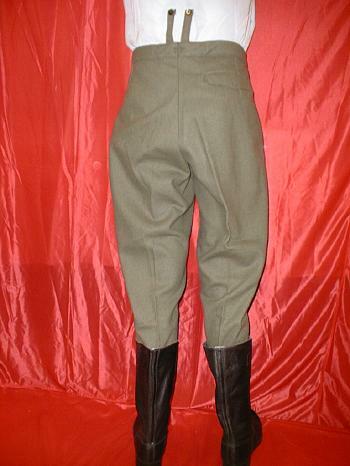 PB9.East German enlisted ranks wool breeches. 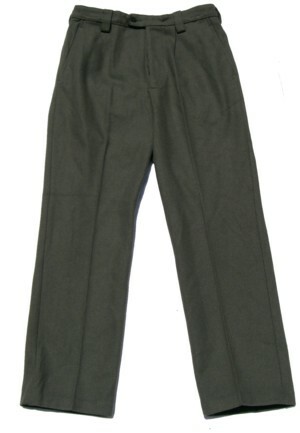 PB16.Transport police officer service pants.Dark blue with light blue piping. 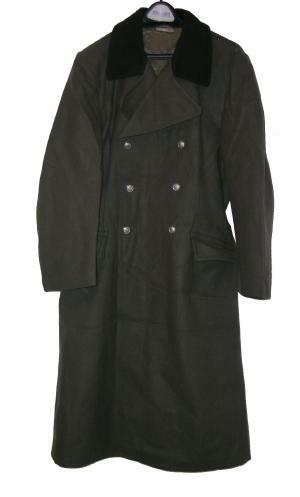 OR3.NVA EM wool overcoats. 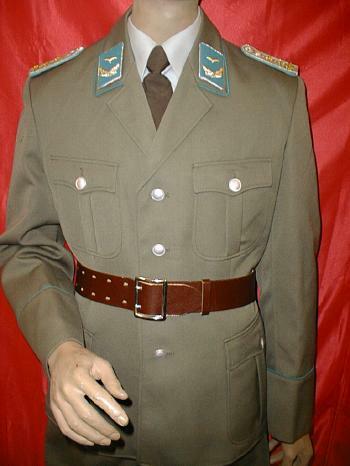 We have with and without dark green collar.